The doctrine of the Antichrist is one of the most interesting doctrines found in Scripture, says author Kim Riddlebarger. Unfortunately, it’s also one which has been subject to far more speculation than sound biblical exegesis. Until now. 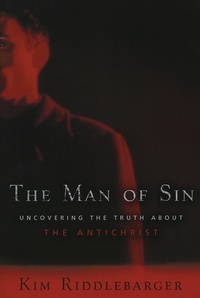 Unlike other resources available on the Antichrist, The Man of Sin focuses on Scripture, not contemporary events, to uncover the truth about this mysterious entity. With skilled exegesis Riddlebarger asserts that, contrary to popular speculation, the Antichrist is not a singular individual but a series of beings that will arise to challenge Christ throughout the inter-advental age before culminating in an end-times Antichrist. Backing this claim first in Scripture, Riddlebarger also draws from historical teachings including those of the church fathers, the Reformation, and historic Protestantism, before contrasting this evidence to the sensational interpretations of many contemporary writers.